Culture means many things to different people. For some, it refers to the ability to appreciate fine art, music, and literature. For biologists, an image of bacteria or tissue cells in an artificial medium containing nutrients springs to mind. The official definition of the word from the Oxford English Dictionary is ‘the ideas, customs, and social behaviour of a particular people or society’. But simply put, culture is our software. What do I mean by that? Consider this illustration: There are billions of smartphones in the world. They do not all function in the same way. Why? Because of their different operating systems, and the different software installed on them. An Android smartphone would perform the same basic functions as an iPhone, such as making calls, sending messages, etc, but the software (or the apps) installed that help to carry out these actions vary greatly. Now think about that in terms of humans. Like computers, we all share the same basic functions. We eat, we sleep, we make friends, we work. But how we carry out all of these tasks depend on what ‘software’ has been installed in us. And what is this software? Our culture. Our culture determines how we eat — whether it be with a fork and spoon, a set of chopsticks, or simply with our fingers. It determines how much we eat — a large plate of nasi lemak or perhaps a simple roti canai. It also determines what we eat — a spicy dish of curry, or a nice bowl of soup. The list goes on and on. Different Smartphones can communicate even if they have different operating systems when they share the same app or wireless interconnection like Bluetooth. Let’s return to the illustration of smartphones. 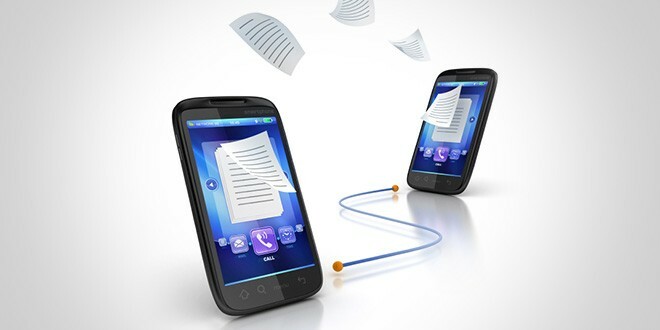 Say that you want to transfer a file from your Android phone to your friend’s iPhone. What would you do? Well, for one, you could use Bluetooth. In the same way, in our everyday lives, we have to communicate from those of another culture, another smartphone, so to speak. But it’s not as easy as switching on your Bluetooth capability. What we need to communicate effectively and without causing offence would be to learn about our own culture (the way in which we ourselves ‘operate’), and then the other party’s culture. The above example is merely a joke, but the point it makes is that differences of communication exist in different cultures. In the workplace, we would probably not speak to workmates of another culture in the exact same way as that in which we speak to fellow Malaysians. In fact, you might even have noticed that some put on a special accent when speaking to those from other lands. But the accent in which one speaks is not the key to communicating effectively. What is needed is to understand each other’s cultures, and cross-cultural training can be of great help in this area. Continuing this theme, our culture can affect how direct or indirect our communication is. Generally, Western cultures are seen as more direct, while Asian cultures would set conflicts aside for the sake of maintaining a harmonious work environment. For example, imagine that you are asked to do something by your manager who is, say, American. You really do not fancy doing this at all, but how would you respond? With a flat-out no? Personally, I wouldn’t find it easy to say no. But this would lead to problems in the workplace. You would not be happy and therefore might not produce your best work, and the manager might be frustrated, because you said that you could do it, but can’t. And he/she might wonder why you didn’t just say that you could not do it in the first place. This is yet another example of why it is important to understand other cultures in the workplace. Of course, this is not all that there is to culture, and we will continue to discuss the subject in further blog posts. But it is important for all of us to see how culture affects our daily lives and all that we do, in order that we can have better relationships with those around us, whether they may be from the same culture or not.